This unit offers 30 feet of challenging entertainment all in one. 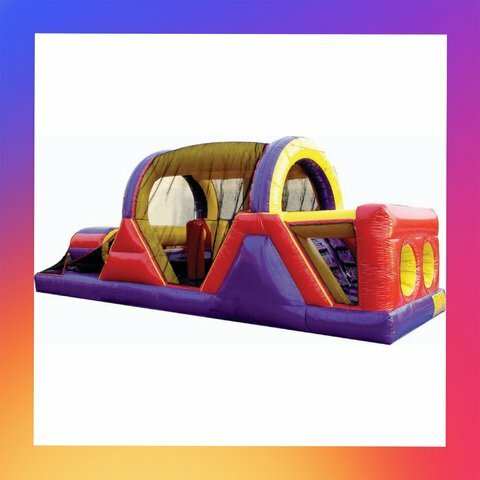 Kids crawl through tunnels while maneuvering around horizontal and vertical pop-ups with stamina-building climbing and decending along the way! This sleek, low profile unit is in a bright, primary-colored purple, yellow and red theme and its arching design will impress attendees and keep them entertained for many hours.